There are many things to consider when making the decision to retire: Have I attended a retirement workshop, seminar or webinar? Are there ways to strengthen my benefit before I retire? Are there leaves of absence or lost days I am eligible to purchase that will strengthen my retirement benefit? Do I understand how sick leave may be used in my benefit calculation? Have I contacted TRS to request an estimate of my retirement benefit with my projected retirement date? What is the difference in my monthly benefit by using the average of my high three salaries rather than my high five salaries? How do I attain the average of my high three salaries? Do I know what the health insurance options are in retirement and the cost to me for health insurance in retirement? Financial planners recommend retirement income of between 80 and 100% of your final salary depending on the adequacy of provided health insurance. 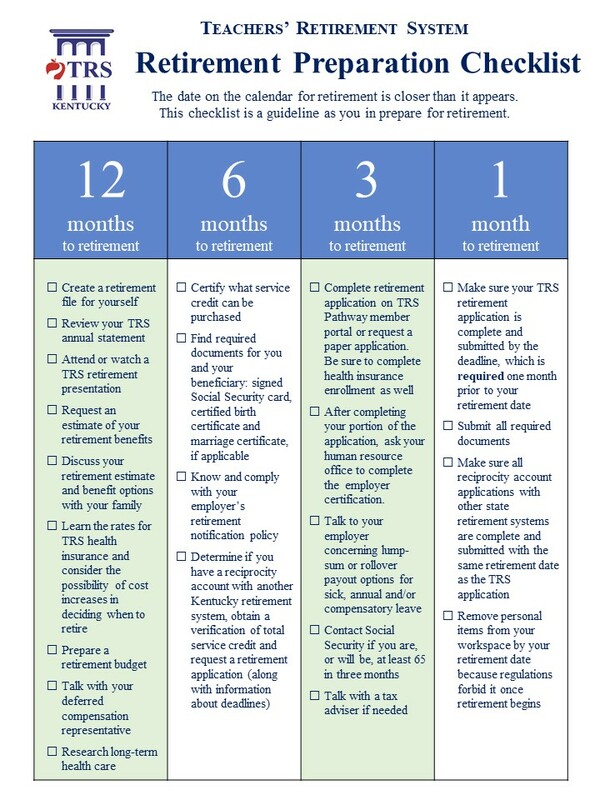 To answer your questions regarding your individual retirement planning, contact TRS at 800-618-1687, between 8 a.m. and 5 p.m. ET, Monday through Friday.